With Overland, Paul is looking to take his skills to new terrain in both air and mountains as he explores the western hemisphere. Paul Guschlbauer will fly a 50-year-old prop plan 18,000 km, through two hemispheres and 17 countries in 180 days! The trip will officially begin on the longest day of the year in the northern hemisphere, June 21, 2018 and last 6 month. From solstice to solstice. 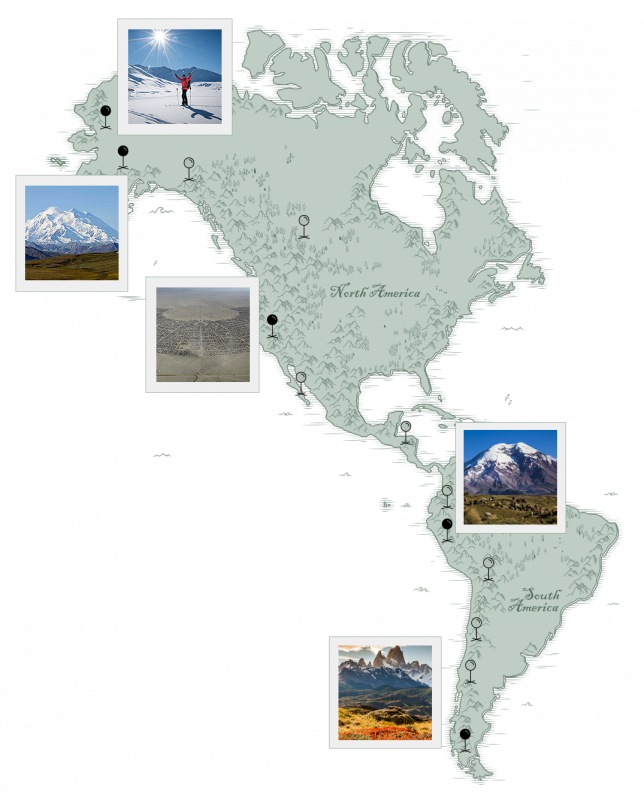 The Pan-American Highway runs from Alaska to Patagonia. Paul Guschlbauer is flying the whole way in his Piper Super Cub plane - Bush flying 18,000 km – 14,000 of them through mountain ranges. Paul will be crossing terrain where runways are few and far between, taking off and landing will be wherever he chooses to and exploring unique mountain areas where few people have ever been. Paul will complete his journey along the Pan-American highway by a mix of Paragliding, climbing, skiing and speed hiking!